President Barack Obama wants to spread the word among millennials that the deadline to sign up for healthcare coverage is Feb. 15 (this Sunday). So, to connect with the hard-to-reach demographic, the Commander in Chief worked with BuzzFeed Motion Pictures to help him create a video to promote Healthcare.gov. 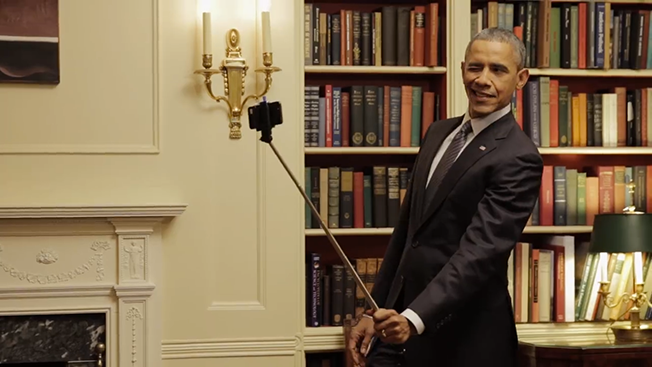 The video, titled Things Everybody Does But Doesn't Talk About, reminds us that Obama does everyday American things, like using a selfie stick to snap a photo and blaming Obama when his cookie won't fit inside his glass of milk. There's also a reminder about the healthcare coverage deadline slyly hidden in a scene where the President is rehearsing a speech in front of the (oddly filthy) mirror. Obama has been actively promoting his causes on various social media and online video platforms, including starring on Funny or Die's Between Two Ferns, completing an AMA (ask me anything) on Reddit and chatting with YouTube stars Hank Green, Bethany Mota and GloZell Green. He had previously sat down for an interview with BuzzFeed EIC Ben Smith but separately decided to create a video with BuzzFeed Motion Pictures Group based out of Los Angeles. Sources involved with the production told Adweek the president was a "good sport" about the project and "came to play."